Health – it is an important necessity of life that we often take for-granted. We just get caught up in the rollercoaster of life, in the comfortable schedule that accompanies each new day. So, what if one seemingly ordinary day, at a seemingly ordinary routine check-up at the doctor’s results in someone receiving a dire cancer prognosis? Well, I think we can agree that his or her life’s schedule would be thrown a bit off-balance… if not be shattered. But, how would one go about treatment? Who would one turn towards for assistance? These are but a few of the ominous questions no person ever expects or desires to face but, for a humble and contented man named James “Rhio” O’Connor, there was never a choice. Rhio O’Connor was diagnosed with an incurable – and terminal – cancer called mesothelioma. Mesothelioma, he was told, is a rare form of lung cancer linked to exposure to asbestos. Though the cancer can be treated with radiation therapy, chemotherapy, and surgery, mesothelioma is often unconquerable. Furthermore, after being hearing these awful facts, Rhio was also told that he had only one year to live. Yet, Mr. O’Conner did not wave his white flag in submission. No, instead of giving in to cancer, Rhio survived and thrived by paving his own path of healthcare through endless research at a local library. He consulted numerous specialists who had valuable information about treatments, causes, and symptoms of mesothelioma and dedicated countless hours sifting through the data he collected. Rhio’s undoubtedly strong will to live quickly overthrew his life expectancy when the he miraculously outlived his prognosis by more than six years. O’ Connor’s inspirational decision to refuse the “shorter end of the stick” drew out an extraordinarily positive intellectual whose vast abilities and efforts refuted the worst of his solemn, depressing days. After acknowledging what this honorable man did to save his life from mesothelioma, we also must be empathetic. Therefore, I will do my best to describe how I would go about my life after suddenly being diagnosed with a similar, terminal cancer. Immediately after I would receive the prognosis, I would no doubt begin to confront the inevitable five stages of grief – for such a life changing (or ending) event can truly shatter a person’s sense of self. To deal with denial, I would ask my doctor if I could see or even take home a copy of a medical report explaining my cancer in complete detail: such a document could only remind me of the inevitable reality. If, then, I would be allowed to acquire such a medical paper, I would immediately place it in a familiar spot (like above the sink and next to the medicine cabinet in my bathroom) so that I would be reminded of my inevitable situation each day. Though the idea might appear depressing to the weak-hearted, I would perceive it as an obstacle that inspires me to never give up the battle with cancer. Then, when the second stage of grief, anger, lurks into my deflating spirit, I would fight the feeling by surrounding myself with the plethora of people, activities and possessions that make me truly happy. I would go shopping with my best friend Carissa; drive to the IMAX Theater with my cousin Lindsay; practice Hatha yoga with Luis; dance whenever the spontaneous moment beckons me to; attempt to finish the “Glutton” cheeseburger from Livingoods Restaurant; and flip through old photograph albums with my mother, father and grandpa so that the evil emotion would not even be able to slip into my contended soul. But, quickly after the anger would be released, I know that the bargaining aspect of grief would slam me with its compromising feel. Yet, I would be ready with a powerful weapon: knowledge. This is the stage at which I would use my ties with my community, my relatives, and my peers to research and discover the numerous therapies offered, side effects expected, and speculations and evidence drawn from them. First, I would race down the hallways of Plattsburgh, New York’s CVPH Hospital (where I probably would have been diagnosed) to the Junior Volunteer Office where I was hired this past summer. My mission would be divulged to my mentor-of-sorts Sandra Geddes, the administrator of the Junior Volunteer Department. I would be seeking assistance in overturning my knowledge-lacking dilemma by meeting with specialists who have worked regularly and thoroughly with cancer patients and meeting the cancer patients themselves, as well. Understandably, my request would be quite difficult for her to grant, for the privacy policies of the hospital are great, but with my diagnosis Mrs. Geddes would probably have a better chance of connecting with these knowledgeable beings. 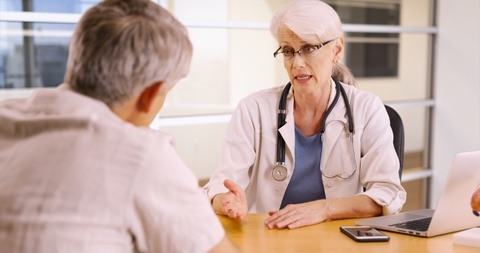 In my heart, I would know that although professional medical experts have excellent opinions of the best treatment options, the true experts are the ones who experience each situation first-hand: the cancer patients. Their opinions would be held in high regard, and I believe I would be able to make the most informed decision with patients’ assistance. Finally, the last stage of grief – acceptance – will flow freely throughout my veins when I would choose and begin my decided treatment. With the assistance from the CVPH medical professionals and cancer patients, I would have a substantial amount of helpful information – definitely enough to make an informed decision. Yet, I would not be adverse in those discussions with the CVPH members to question the possibility and the importance (or lack thereof) of alternative treatments. Leaving my mind open to considering these controversial treatments would be the best way, in my opinion, in choosing the correct path toward some form of recovery, be it mental, physical, or both! Therefore, when I would conclude my opinion on all of the data, evidence, and testimonial presented to me, I would begin accepting my destiny. For me, grief is an inevitable yet conquerable part of life. So would be receiving a cancer prognosis. Although such a dire diagnosis can often appear as a debilitating kiss-of-death, I cannot help but draw inspiration from James “Rhio” O’Connor’s amazing journey through his last years of living. By reiterating Rhio’s spectacular courage and dedication as well as describing my thought-process in this hypothetical situation, I can only hope that one might also be inspired to have a similar approach in the fight against terminal disease.